As of Tuesday, Oct. 29, significant portions of Alabama’s controversial immigration law are blocked from being enforced. Civil rights groups, as well as the U.S. Department of Justice, filed lawsuits debating the bill and—despite the Supreme Court refusing to review it six months ago—state officials agreed to deals that will limit its powers. Provisions blocked include those requiring public schools to collect immigration status of students, criminalizing solicitation of work from undocumented workers and prohibiting drivers from giving undocumented immigrants a ride. The agreement also denies that the law gives police the right to detain an individual for the sole reason of checking immigration status. Since its inception, house bill 56 (HB 56) has been considered one of the toughest immigration laws in the country. 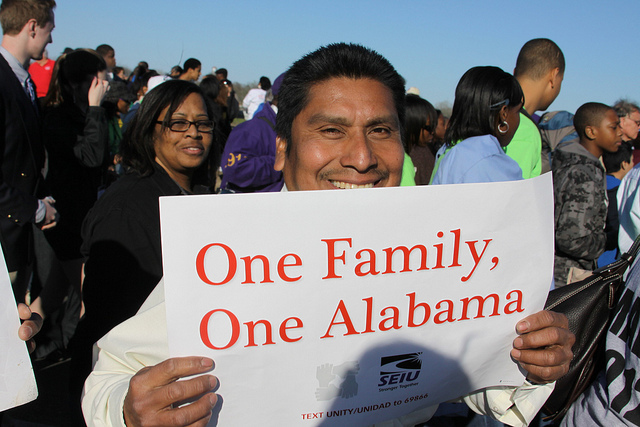 Organizations such as the Hispanic Interest Coalition of Alabama (HICA), the American Civil Liberties Union (ACLU), Southern Poverty Law Center (SPLC) and leaders of the Methodist, Episcopal and Roman Catholic churches of Alabama have all filed lawsuits challenging the constitutionality of the bill. The state also agreed to pay $350,000 in legal fees and expenses for the suing groups, but first the deal must be approved by a federal judge. NextCity enacts new parking ordinance.